Scissor joints are used e.g. 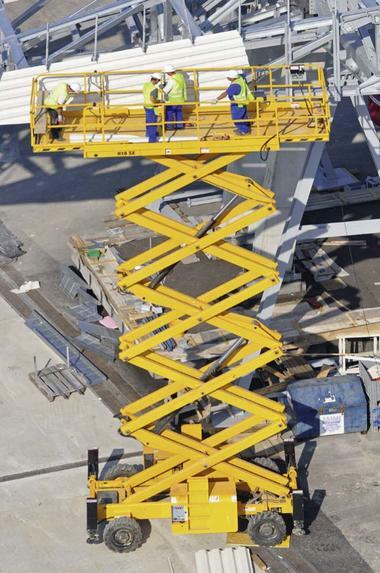 in lifting platforms, cranes, working platforms, trailer platforms, lifts and laboratory lifting platforms. The work area is lifted or lowered by the scissor joints in this case, for example. The scissor joint consists of legs of equal length that move around a centre axis via plain bearings. Mainly static forces act on the bearings of the scissor joint. A rotary motion occurs in the joint during lifting or lowering. 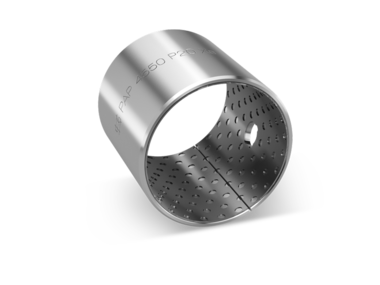 In the application, the bearing of the scissor joints was achieved with maintenance-free plain bearing bushes made from the material KS PERMAGLIDE® P20. The plain bearing bushes were pressed into the legs of the scissor joints. This guarantees the smooth and jerk-free guidance of the scissor joint. The material P20 is low-maintenance. The initial lubrication during mounting is sufficient for the entire service life in the application. 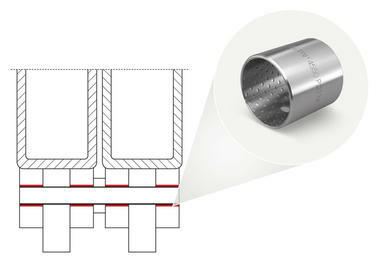 This means that no maintenance of the plain bearing is required. The grease protects the pin from corrosion and guarantees smooth rotation of the pin in the bearing.